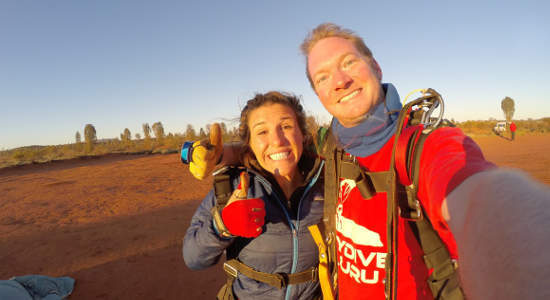 If you know someone who's dreamed of skydiving, then these tandem skydive gift vouchers over Uluru is the ultimate gift for their next big occasion! You can gift them either a 10,000ft or 12,000ft tandem skydive, depending on how brave they are. This skydiving location is one of the most iconic in Australia as they'll be treated to incredible views of this world-famous Australian icon from above. If you have the perfect person in mind for one of these skydiving gift vouchers, buy it online today! 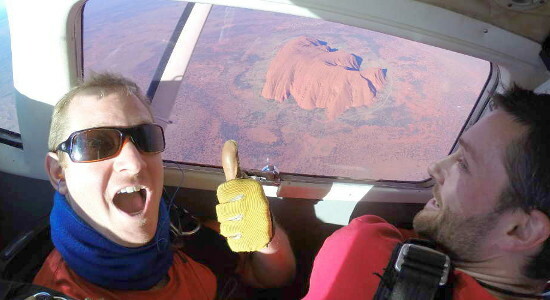 Gift this awesome 12,000ft tandem skydiving experience in Ayers Rock for that upcoming celebration. Buy a voucher for this adventure online here! Know an adrenaline-junkie? Then this 10,000ft tandem skydive gift voucher over Uluru in the Northern Territory is the perfect gift! Buy gift vouchers here!